Theresa May is trading at a mere 2/7 to leave her post as Prime Minister before the end of the year after her Brexit deal was defeated by 203 votes in the House of Commons on Tuesday evening, but the government remain far shorter to survive today’s vote of no confidence at odds of 1/33. The defeat, the biggest suffered by a United Kingdom government in the last century, makes it extremely unlikely any agreement over the departure from the European Union will be agreed by the original March 29th deadline. William Hill currently has an extension of Article 50 at 3/10 favourite to be the state of play on March 30th, with a no deal Brexit second in the betting at odds of 5/1, ahead of leaving with a deal at 6/1. 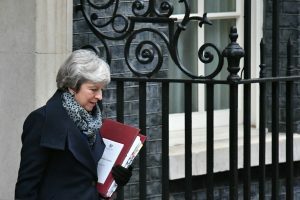 Theresa May leaves 10 Downing Street for the House of Commons to face a motion of no confidence in the Government being debated in parliament. Why are the government odds-on to survive no confidence vote? In the immediate aftermath of May’s Brexit deal defeat, some powerful factions that might have opposed her in the vote, due to take place at 19:00 this evening, suggested they would instead support the government. Both the DUP and the pro-Brexit European Research Group of MPs pledged their support for the PM ahead of the ballot. A 33/1-rated success for today’s vote of no confidence, activated by the Labour Party immediately after May’s defeat last night, would also be likely to trigger a general election, which should prove off-putting for any other Tory MPs pondering going against the government this evening. This year is nonetheless 6/5 favourite in the current ‘year of next general election’ betting at 6/5, although ‘2022 or later’ is next in the market at 7/4. If May does, as the odds suggest, survive the vote of no confidence in her government, she will immediately be expected to begin discussions with MPs both within and outside the Conservative Party in a bid to construct a new Brexit deal that can win the support of the house.